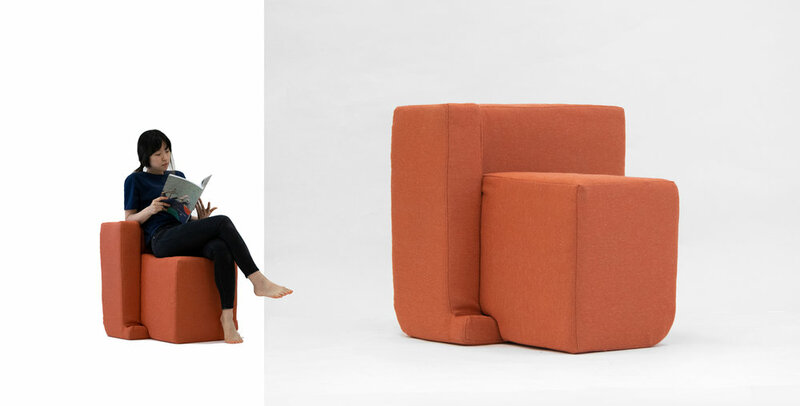 Pivot is intended for the users to interact and ‘pivot’ parts to change the orientations of the chair, which then alters the dimensions of the seat, the back/armrest and the footrest. The two pivoting points are hinted through the soft-curved edges. There are three different seat heights one can explore, each of which took its reference from the heights of a low stool, a dining chair and a high stool with a footrest. 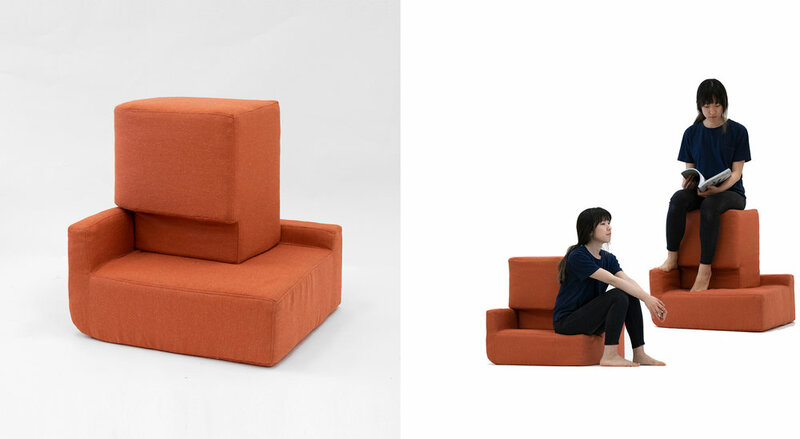 Pivot invites people with different body shapes and sizes to have a sit and to notice how the changes in dimensions affect their sitting experience. What defines a chair? Does it have to have a certain look? We sit in many ways on numerous different surface levels - sitting on staircases, on the curb (raised edging beside a street), on the floor, on a giant rock or a tree trunk (say you were on a hike), on the roof, on a fence or on objects that could hold your weight. If these were cropped out of the context and placed elsewhere with you still sitting on it, would you call it a chair?